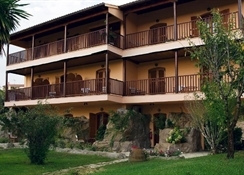 The Corfu Club Aparthotel is a delightful complex situated in the heart of Gouvia Village, 800 m from the pebble beach and 7 km from Corfu Town. This charming property of two buildings built in the style of traditional Corfu architecture is an ideal place for entertainment with various restaurants and bars nearby. 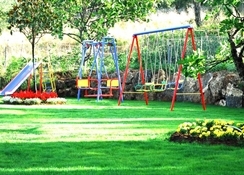 Guests will enjoy the friendly personnel and lovely atmosphere. 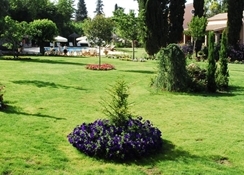 This is a great hotel for couples and families with 14 spacious maisonettes set in lovely gardens. Corfu Airport is 7 km from the hotel. Local Tips: Gouvia offers an intensive nightlife for those who look for it, and Gouvia Marina is a vibrant area attraction. 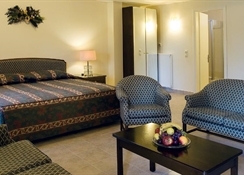 The closest beaches to the hotel are in Dasia, Ipsos, Barbati and Paleokastritsa. Food, drink and entertainment: Bed and breakfast accommodation with a charming breakfast room and there is a friendly bar on site. The traditional BBQ is a great favourite with guests. Sports, games and activities: Outdoor swimming pool, terrace with sun beds and umbrellas, children's playground, children's indoor facilities, Sauna and Hammam. Additional: Reception, service room cleaning, car and motorcycle rental, taxi call service, Wi-Fi available in public areas, safe deposit box, interconnecting rooms available, laundry and valet service, smoking rooms available, valet parking, excursion information, parking.